The first photograph illustrated here from my trip to Ukraine is the Dniestr River running through the Carpathian Mountains just west of Starey Sambir. 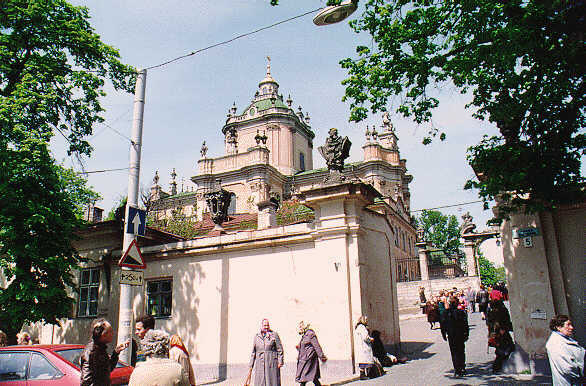 A photograph of St. Yurij's Cathedral in Lviv. The insides are incredible and a definite must see when in Lviv. 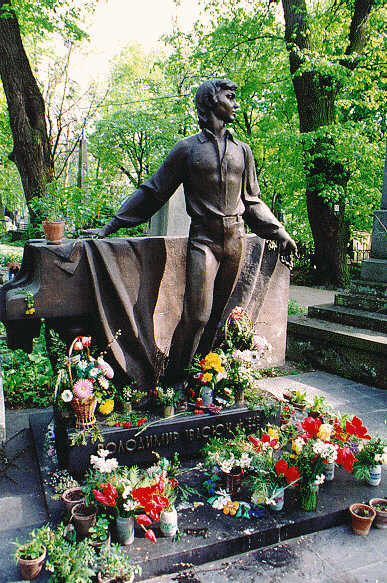 Volodimir Ivasiuk's Grave in Lviv. Ivasiuk was a popular Ukrainian musician brutally murdered by the KGB in the former Soviet Union. The cemetary is beautiful and was listed in the top 10 beautiful cemetaries in Europe. 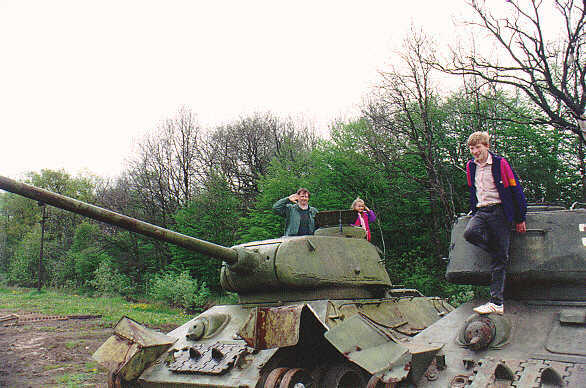 Hamming it up on some old Soviet T-34 battle tanks at the Lvivska Tank Factory. 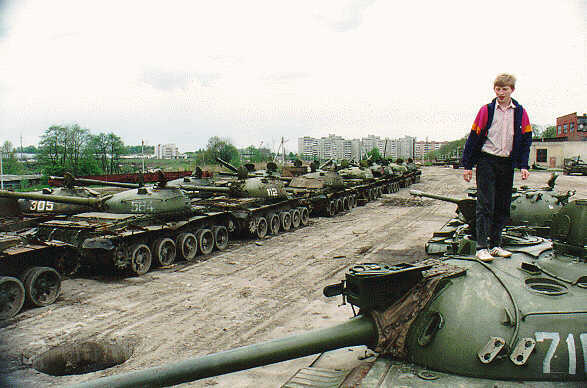 A photograph of rows of Ex-Soviet Battle Tanks in the Lvivska Tank Factory being prepared to be converted into vehicles for pipeline construction. Ten years ago I would have never would have guessed I would be so close to so many Ex-Soviet battle tanks at once that were not shooting at me. 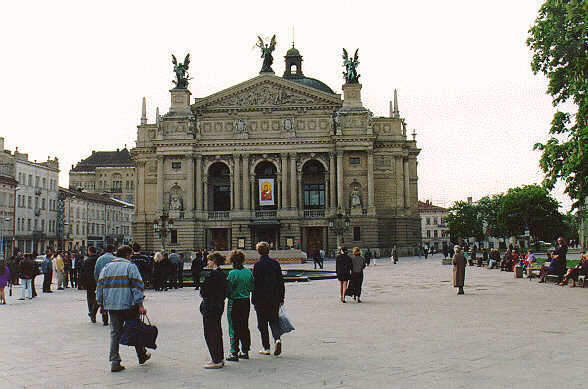 Another definite must-see in Lviv: The Opera House. The spot where I took the photograph used to be the resting spot of a 50 foot high statue of Lenin which since Independence has been conveniently disposed of. 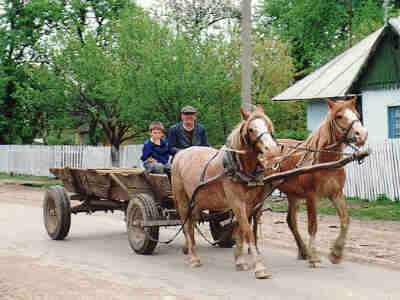 A photograph of a fairly common site in Ukraine. 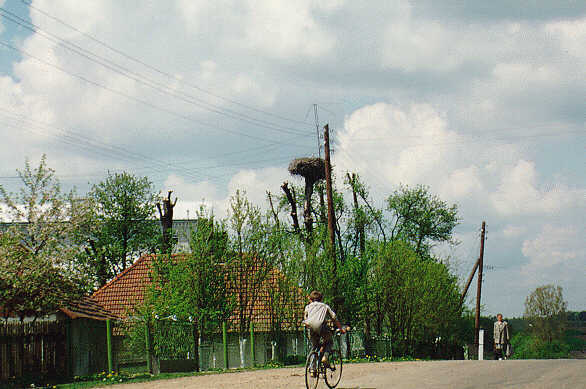 This is a photograph of a Stork's nest in a tree. 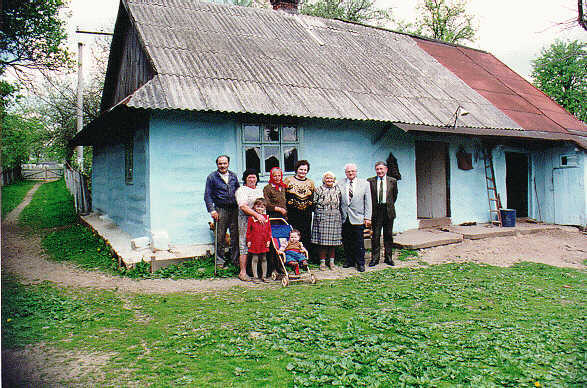 The old Kokodyniak Homestead which is a typical style of construction for Western Ukraine. 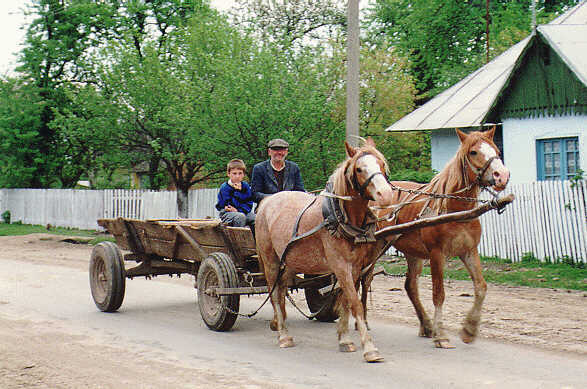 A typical sight in the villages in Western Ukraine. Gasoline shortages have reinstated the usefulness of horse power. 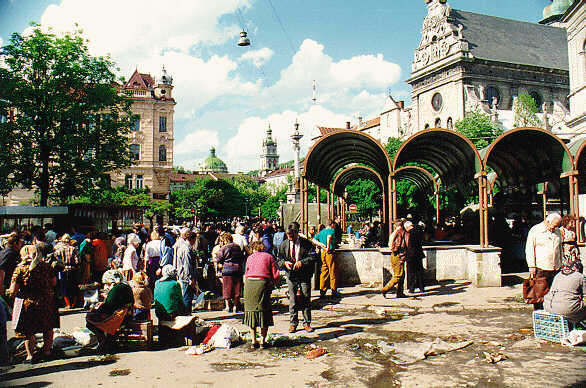 A photograph of the outside of the Halytskey Market in the Center of Lviv. Copyright © 1995-1997 InfoUkes Inc. Originally Composed: Friday January 27th 1995. Date last modified: Sunday December 21st 1997.